Emailing has been a popular way of exchanging messages for many years. We all use it, and have an account, or even a few accounts on different email services. The top ones are Gmail, Yahoo, Outlook, Zoho, AOL, iCloud Mail and others. We send and receive personal messages, photos, documents, links, etc: anything that can be typed or attached. That’s why the information you exchange is valuable, and somehow may be of interest to some third parties that may get an unauthorized access to your email account for their own purposes. Sure thing, there are some tips that may help you to have a secure emailing. Here are some of them. First of all, and obviously, creating a strong password takes a little effort, and yet it is a pretty much good way to secure your email account. It should contain different types of characters, like a mix of capital and lowercase letters with numbers along with other symbols. And don’t forget to enable a two-factor authentication when you are signing into your email account to avoid unauthorized access. This way, for instance, you get a text to your phone with a code that you have to enter to verify logging in. Secondly, consider using a secure email service. 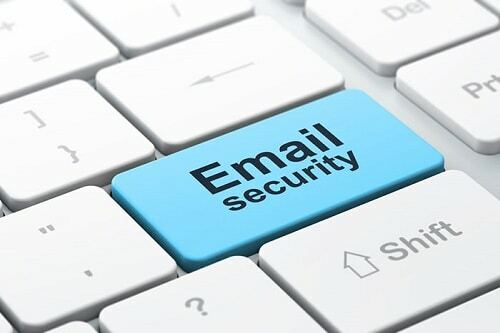 Most email service providers use cryptographic protocols like SSL/TLS. These ones make sure that the connection between two hosts – their servers and a web browser – is safe. So, there you have an additional layer of security. Once you see https:// at the beginning of the URL instead of just http://, be sure that this web site has SSL/TLS encryption. Next what you could and should do is not to fall for any phishing scams. It can be quite hard to do so, because they can be really tricky. Just try not to open emails from senders you don’t know, or that may seem suspicious. Sometimes it is not that bad to be overcautious. These phishing emails can trick you into giving away very sensitive information. Now it’s time to talk about how Virtual Private Networks can be helpful when it comes to email security. Well, if you want to secure your online communications via email, then a VPN is a great solution. Even if you have a super strong password, still you are vulnerable to those individuals who want get the access to your email account. With VPNs and their useful features you may breathe a sigh of relief that your email account is secure. Why? Multiple VPN tunneling protocols along with strong encryption algorithms make that possible. They protect you by encrypting all the data exchanged online. In the process of sending and receiving messages, a reliable VPN protects against any interception. In addition, most VPN providers allow several simultaneous connections on your devices. So, you can sign into the account from different devices. Also, most reliable and leading providers have a strict no logging policy. That’s why no log-in details are kept. Your information is completely yours. And if you are travelling, and it’s turned out you can’t access the email account because of some geo-restrictions, then it’s all right: VPN can change your IP address, and it will seem like you are signing in from your home. VPN remote servers are usually located in many countries around the world, so wherever you are – there will always be an available server to connect to. One of the reasons to use VPNs is that they keep you safe when you are connected to a public Wi-Fi hotspot. Open Wi-Fi hotspots don’t guarantee a safe and secure internet connection. Thus, messages you send are not protected from hackers, cyber criminals, identity thieves etc. What is more, our emails are usually linked to, let’s say, bank or social network accounts, so someone could try to gain that confidential information. With a VPN service you don’t have to worry about that. Tip of the day: next time you’ll be thinking about how to secure your email account – you may consider using a VPN for a change. There are many benefits you can profit from.